Sit in traffic or stroll in the sand? It seems like a pretty easy choice, yet each weekend thousands of Ontarians continue to fight cottage country traffic to reach the beach. 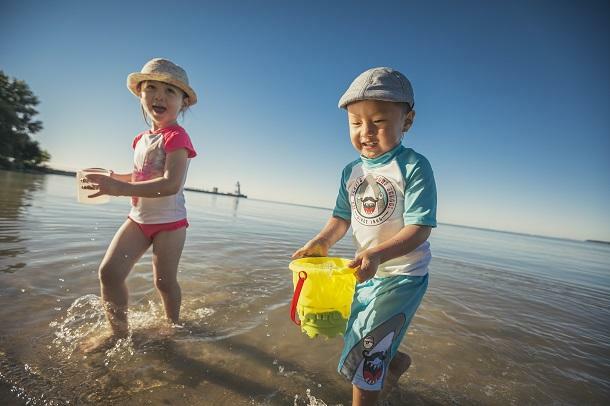 Want in on one of the best-kept secrets of Ontario beach lovers? Lake Erie. 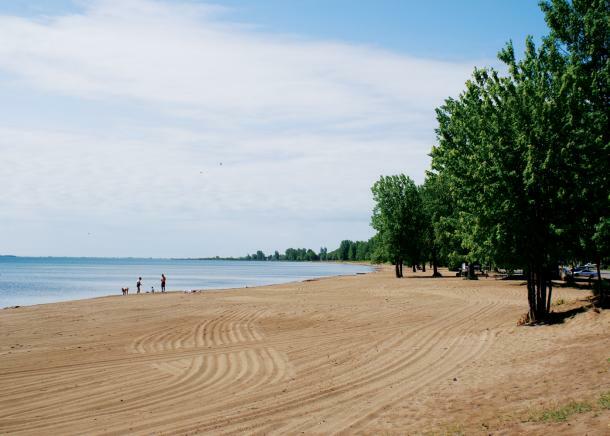 There is a great collection of beaches along Lake Erie’s northern shoreline that can be reached in less than a 2.5-hour drive from downtown Toronto. After a brief stint on a 400-series highway, it’s a smooth cruise along regional roads so scenic (and snarl-free) that the drive itself is actually relaxing. The relaxed ride to get there is just the beginning of what’s great about these Lake Erie beaches. Lake Erie is the southernmost, shallowest, and smallest in volume of the Great Lakes, which means its waters warm up more quickly in the hot summer months. You’ll also find clean, sandy shorelines that stretch on for miles, friendly beach towns, and fun diversions like wineries, microbreweries and outdoor activities for when you’re ready for a break from the beach. Ready to join the growing community of Lake Erie beach lovers? A trip to any of these 5 stunners is sure to convert you into a raving fan. 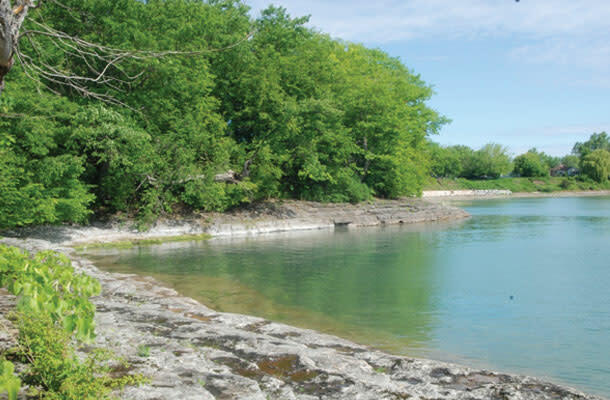 This sandy beach has a gradual drop off and a smooth rocky ledge that’s filled with fossils. There are also hiking trails and a dog friendly beach for family pets. Port Dover boasts a great sandy beach with a quaint downtown core just steps away with cool boutiques, restaurants and cafes. The palm trees on the beach during the summer months will make you think you’ve escaped to the tropics! The 40-kilometre-long sandspit here is so unique it’s been recognized as a UNESCO World Biosphere Reserve. If you can tear yourself away from the two kilometres of soft sand and warm, clean water, there are fun activities in the area like zip lining and winery tours. 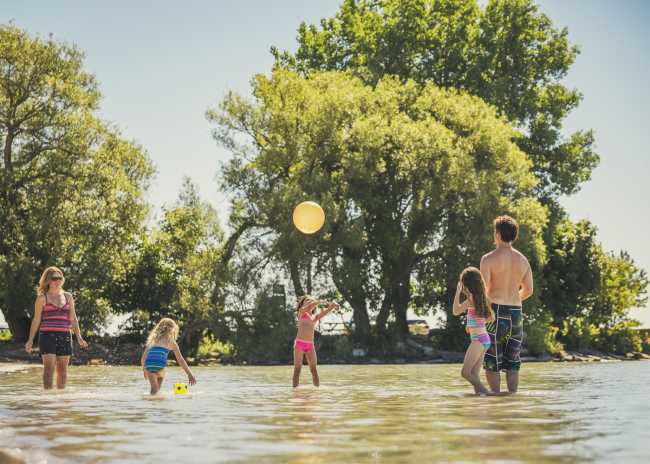 This provincial park offers a two-kilometre stretch of sandy beach, warm waters with a sandy bottom and sand bars that make for a fun day of splashing about. 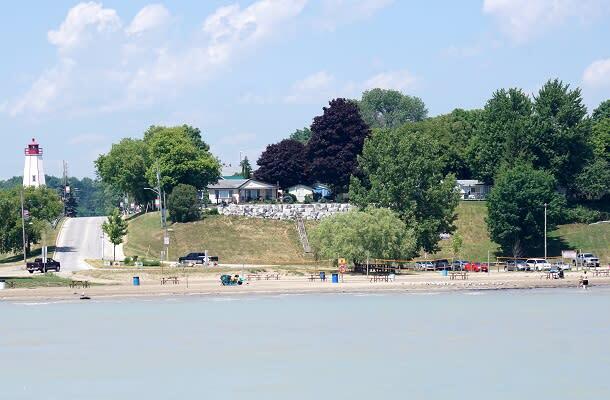 Port Burwell is often referred to as the jewel of Lake Erie’s north shore and when you first set sight on the 2.5 kilometres of clean, sandy beach, you’ll immediately understand why. 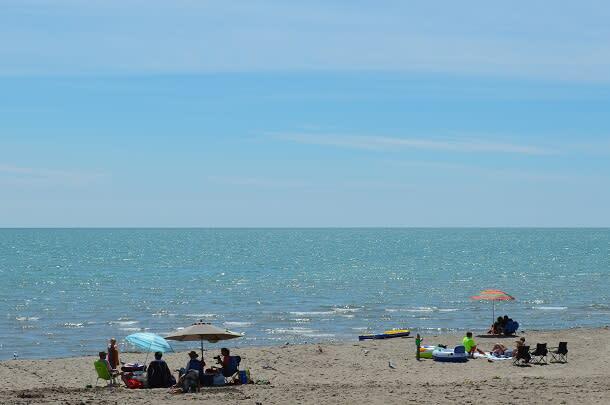 In addition to these five closer-to-home beaches, Ontario’s Southwest is home to 9 other beautiful beaches along Lake Erie and Lake Huron. Discover all 14 of our best beaches. Be sure to browse our collection of Best Beach offers to save on your next trip.